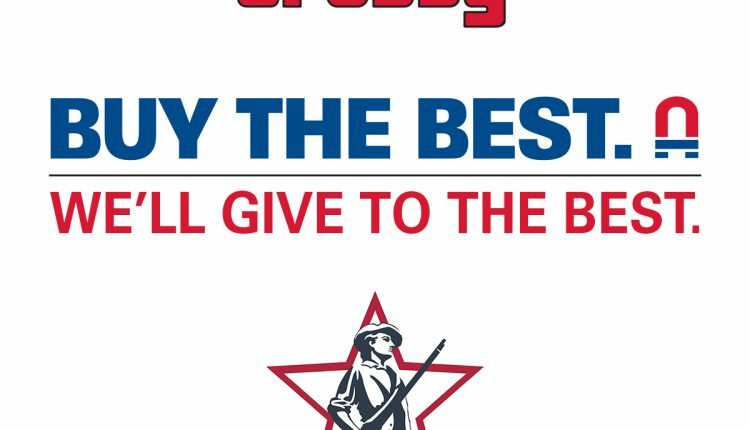 Dallas, Texas-based The Crosby Group LLC, the largest lifting, rigging, and material handling hardware company in the world, will donate up to $25,000 to the Children of Fallen Patriots Foundation via Q2 2019 sales of its popular wire rope clips. The charity serves to provide college scholarships and educational counseling to military children who have lost a parent in the line of duty. After government programs the average shortfall in college funding for a child of a veteran that was killed or wounded in service is $25,000. Supported by its loyal distributors, Crosby will donate a portion of each clip sale to the honorable cause. Approximately 20,000 children have lost an active duty parent in the military over the last 35 years. Of those, 97% of casualties are men, leaving behind single mothers to care for their families, and 60% report having trouble making ends meet. The foundation said that $500m is needed nationwide to cover the gap between government assistance and the actual cost of a degree. With a U.S. manufacturing footprint that includes plants in Texas, Oklahoma, and Arkansas, Crosby’s involvement with the country’s military stretches back to its earliest days, supplying shackles and other hardware for vehicles. Today, over 50 veterans work in the company’s facilities, contributing to manufacture of the best rigging equipment in the world. Vanderslice explained that the longevity and diversity of the wire rope clips, which range in size from 1/8” to 3 ½”, presented the product as a standout component to align with the initiative. The wire rope end fittings are used in a myriad of applications to clamp the loose end of a length of wire rope, once it has been looped back to form an eye. They can also be used to connect two pieces of wire rope together.